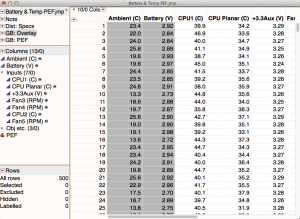 Pareto Efficient Frontier (PEF) is becoming an increasingly popular tool for measuring and selecting project or design parameters that will yield the highest value at the lowest risk. PEF is being used widely in many industrial areas, such as when selecting the best exploration projects in oil and gas, finding optimum design parameters in consumer product research, and even finding the right pricing of products and service in sales and marketing. This tool is especially useful for anyone involved in project, product or service management, at it allows you to see in a clear visual the most important points that you care about among all the other points in a graph. 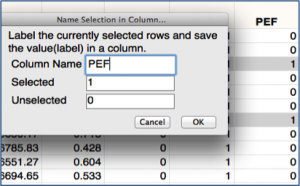 We can easily create a PEF in JMP using the features in Graph Builder and Row Selections. 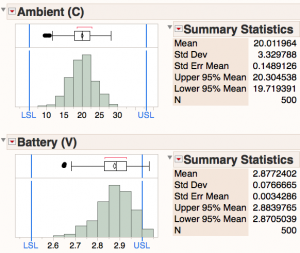 Let's look at some design team data from 500 tested units. The team wanted to find those tested units that would provide the lowest level of Battery Voltage (V) that would work for the highest level of Ambient Celsius (C) temperature. 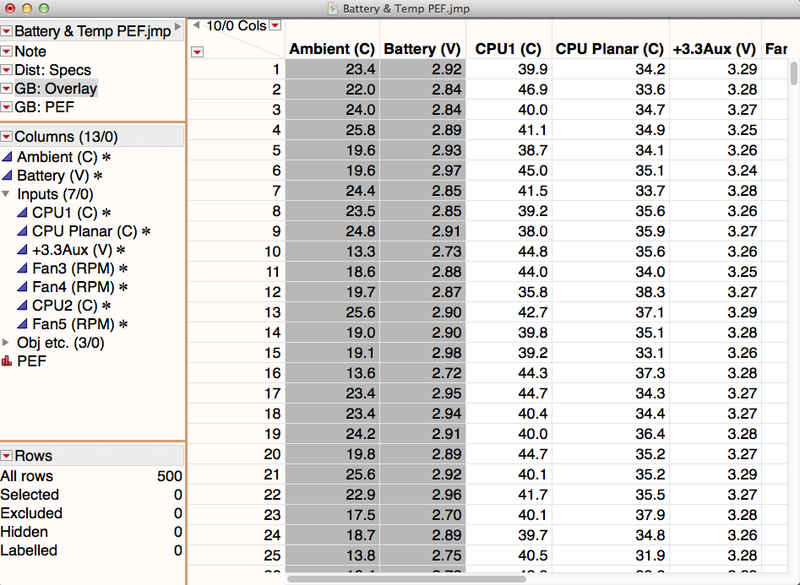 We would describe these points as being the most “dominant” for Ambient (C) points across low Battery (V) settings. 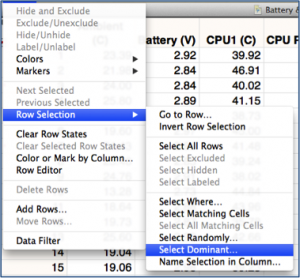 The reason this would be important for the design team is the need to find those tested units that can operate under the highest operating temperatures with the lowest strain on the battery. 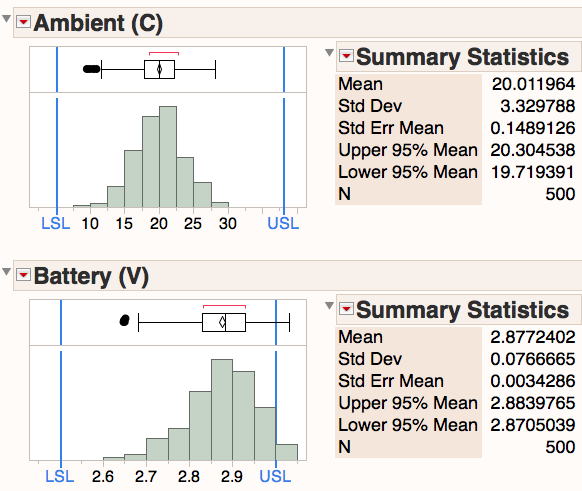 Looking at a Distribution of the parameters, we can see the spread of the data for Ambient (C) and Battery (V) against their respective statistics. Most of the tested units seem to be within specifications, so let's go on to the next view to help find the PEF. 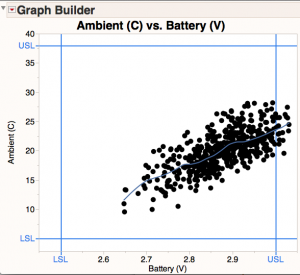 The next graph was created in Graph Builder with a scatterplot and smoother line view of Ambient (C) and Battery (V) points. Now we can use the Row Selection features in the Row menu to help find the PEF points. 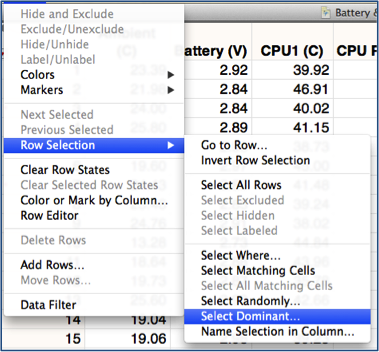 The Row Selection – Select Dominant option gives us an input box where we can ask to look at dominant points for our parameters. 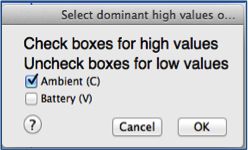 Note that we checked the input box for Ambient (C) so we could see highest coordinating points for this parameter, while leaving the box for Battery (V) unchecked so we could see the lowest coordinating points for this parameter. 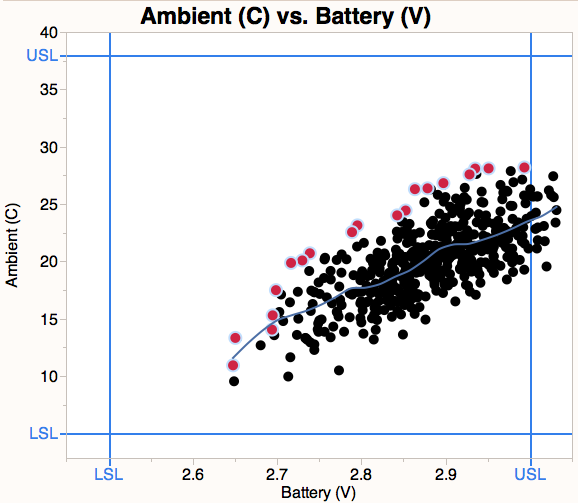 This allows us to highlight the dominant points with high Ambient (C) temperature at low Battery (V). To make it more visual, we colored the dominant points red. Now we can start to see the PEF, as this is the ridge of red points on our graph. 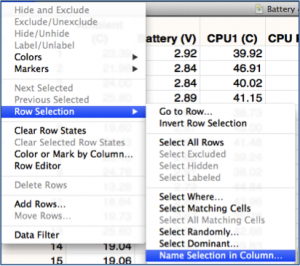 While these dominant points are still selected, we can also use the Row Selection – Name Selection in Column from the Row menu to create a new column in our data tables that will identify the dominant and non-dominant points with an indicator. In this case, we created a new column called PEF (for Pareto Efficient Frontier) where a “1” indicates a dominant point and a “0” indicates a non-dominant point. This will let us use the PEF column as an overlay column in our graph. 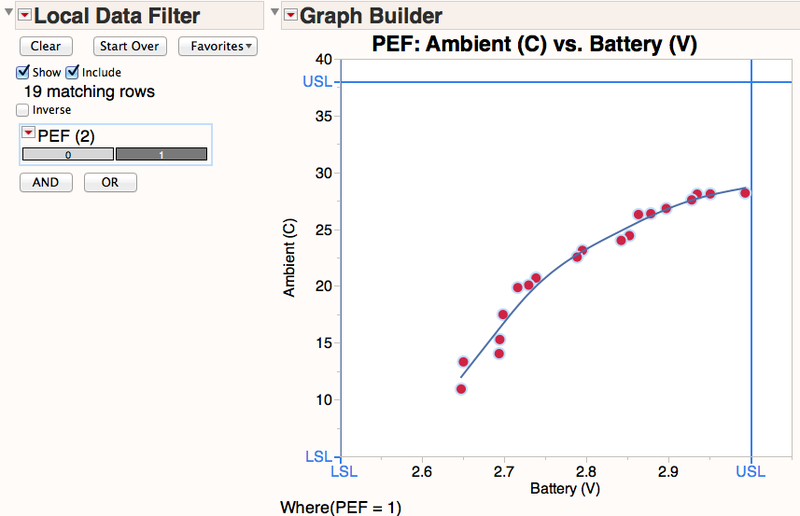 Combined with a data filter, we can just select the PEF indicator points and clean up our Graph Builder view to just show the dominant point ridge where the tested units performed with the lowest Battery (V) at the highest Ambient (C). 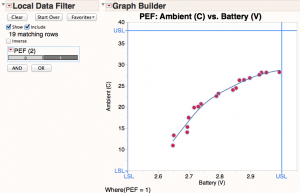 We can now easily see where our tested products will operate the most efficiently in our design. Note: This post was co-written with Jeff Perkinson, Customer Care Manager.